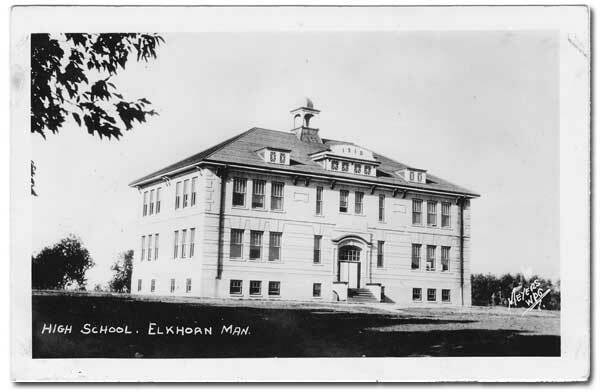 The Elkhorn School District was established formally in February 1885, in Elkhorn in what is now the Rural Municipality of Wallace-Woodworth. 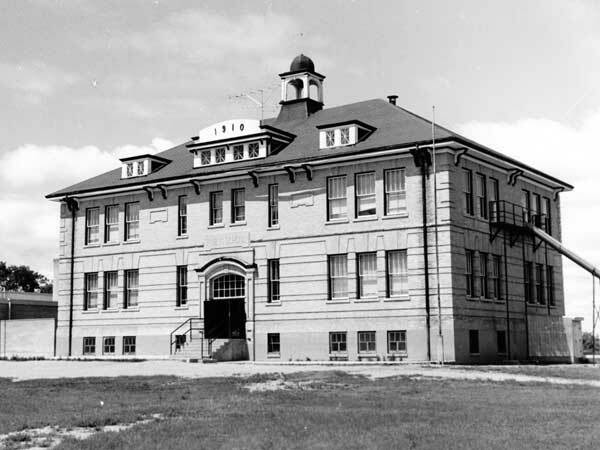 A school building was erected and, as of 1982, it still stood and was being used as an insurance agency, having been sold in 1892 for the sum of $2,583. That same year, the first part of a stone building was built by Joseph Williamson, and in 1895, a second part was built by John Hume. The Principal was C. C. Stewart and, by 1901, the staff comprised four teachers. 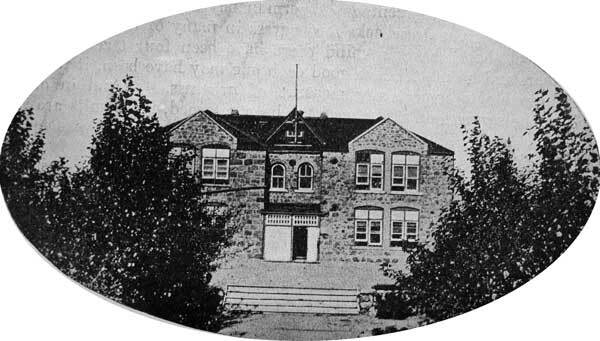 With growing enrollment, the stone school proved too small so, in 1910, a two-storey, six-classroom brick school was constructed beside it on a design by Brandon architect W. A. Elliott. The new building opened later that year, under Principal George Cecil Speers. An official opening ceremony was held 28 March 1911. Prior to school consolidation, classes included students from York School District No. 1783 and Reaper School. An adjacent collegiate building was built in 1959. 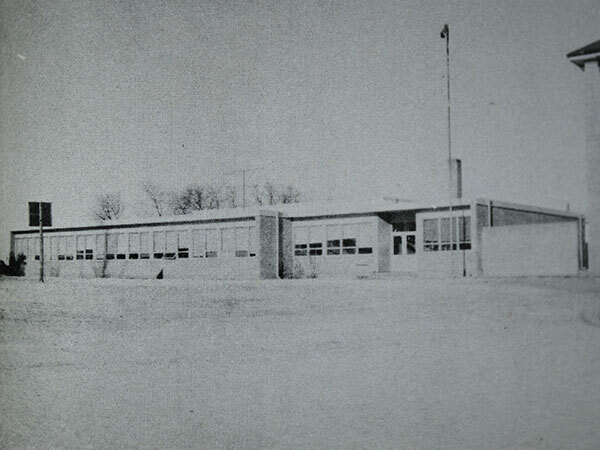 In July 1964, the district became the Elkhorn Consolidated School District. 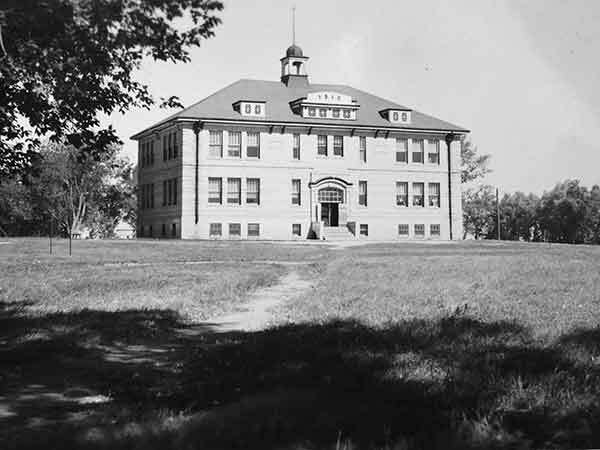 The 1910-built facility closed and was demolished in 1976 as classes transferred to the expanded former collegiate structure. The district was dissolved in October 1971 when it joined the Fort la Bosse School Division. Among the other teachers of Elkhorn School was Margaret Creighton. Source: Education Department Report, 1909, Manitoba Legislative Library. Source: Archives of Manitoba, George Harris Fonds, Acc. 1979-141, P7454, Album 22, Page 24. Source: Archives of Manitoba, Architectural Survey - Elkhorn 6. Source: Archives of Manitoba, Manitoba Local Government Boundaries Commission, File 140B Elkhorn Collegiate. “Elkhorn School is officially opened,” Winnipeg Tribune, 4 April 1911, page 9. Steel and Grass Roots, 1882-1982: History of Elkhorn by Elkhorn and District Historical Society, 1982, pages 73-80. 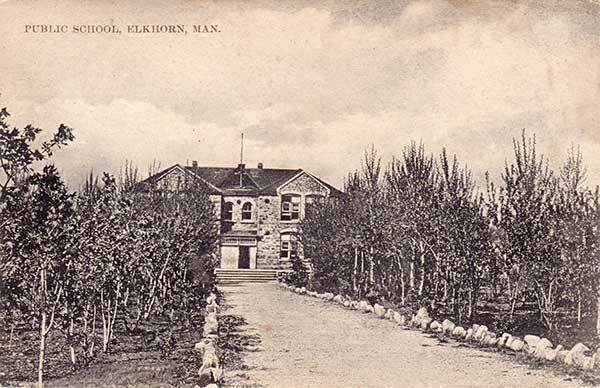 Manitoba School Records Collection, Elkhorn School District No. 366 Daily Registers, GR0466, Archives of Manitoba. School division half-yearly attendance reports (Schedule: E 0757), Archives of Manitoba. Manitoba Local Government Boundaries Commission, Schools in Manitoba - Volume 2, Elkhorn Collegiate - File 140B, March 1968, Archives of Manitoba. We thank Kelly Walker for providing additional information used here.